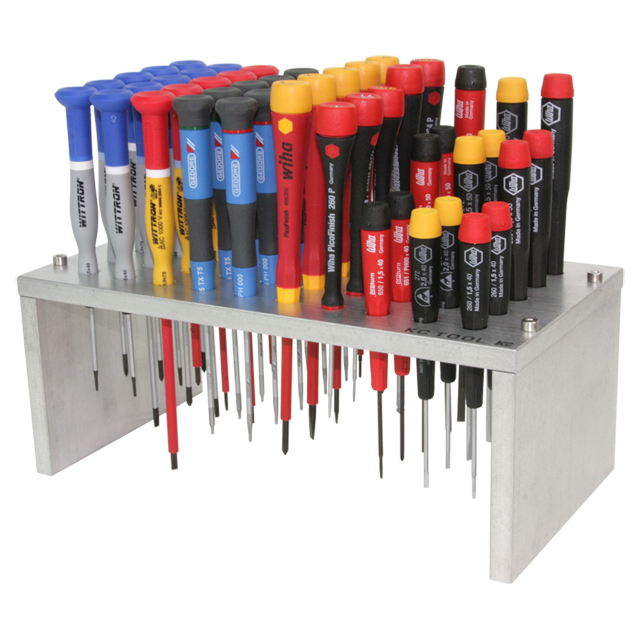 Looking to organize your precision screwdrivers? 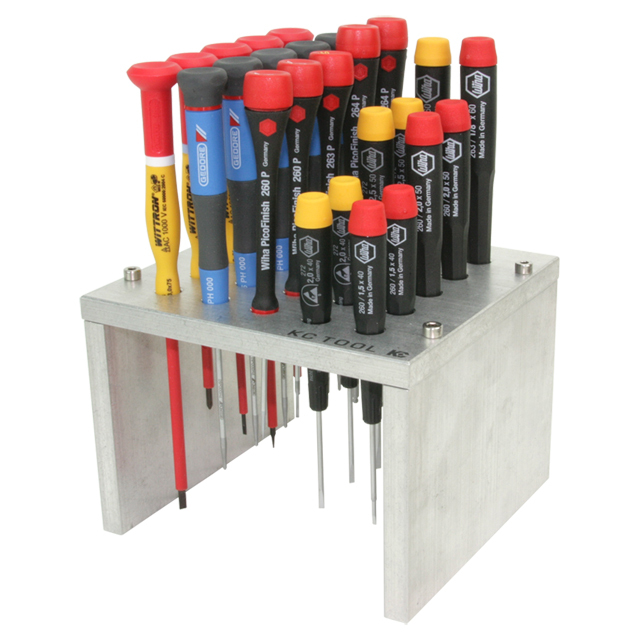 KC Tool has the perfect bench top solution. 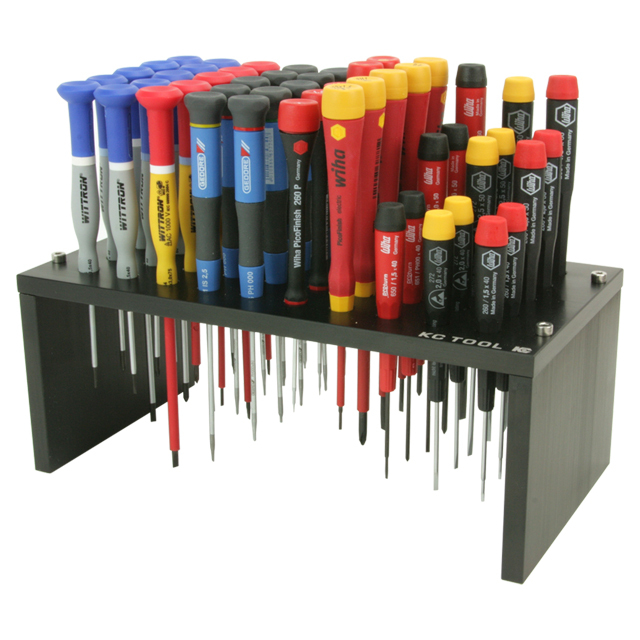 Our bench top stands are made here in Olathe, KS, USA from 3/8″ thick 6061 aluminum and available in 2 sizes (25 and 50 hole) and 2 finishes (tumbled and black anodized). Pictured above is the 25 hole, black anodized finish model. All models are a 3 piece design (2 sides, top) and ship unassembled. The necessary hardware and l-key come packaged with the stand. 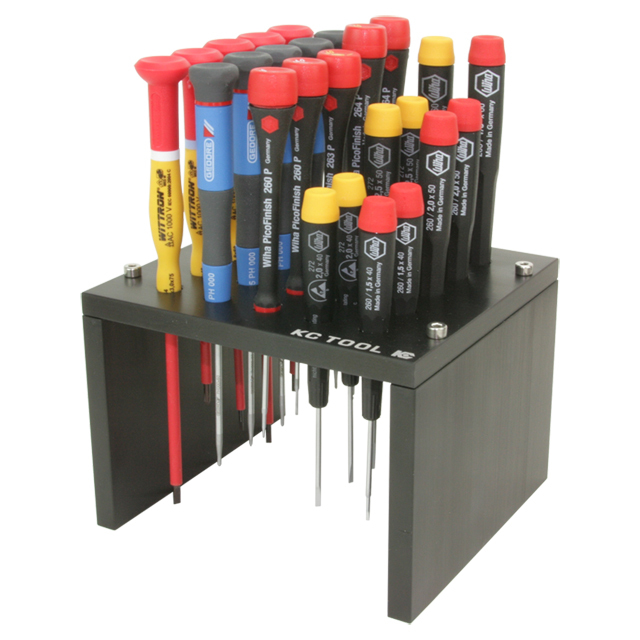 We have had customers share with us that they are also able to fit certain pens, pencils, tweezers, and scribers in these stands. They are very versatile and durable.